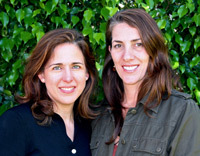 Former college roommates Dr. Wendy Oliver-Pyatt and Vicki Kroviak are the cofounders of Oliver-Pyatt Centers, comprehensive programs for the treatment of eating disorders. Wendy, a board certified psychiatrist, founder of Center for Hope of the Sierras, and author of Fed Up! (McGraw-Hill) and Vicki, a television executive, both suffered from bulimia throughout their teen and young adult years. Vicki: We met in college. We were both volunteering at a student-run self-help center. Kind of ironic, when you figure that at the time that we were each completely consumed with our eating disorder. Yet, we were immediate soul-mates. Wendy: Sometimes friends with food issues compete…You know, who can be the thinnest, the sickest, whatever. Fortunately, we were never like that. We tried to help each other get thin because we actually believed that thinness led to happiness. We really thought we were doing the right thing for ourselves and for each other. Vicki: It’s funny. I don’t think either of us would have said “I have an eating disorder”. We were really just trying to be what we thought of as our best. We had what we were convinced were our “ideal” weights posted on the wall of our apartment as a daily reminder. We thought that we were being healthy, and sadly our society reinforced this idea. Looking back, when did you start suffering from food and body preoccupation? Wendy: I was really into ballet, which, combined with going through puberty, was a recipe for body issues. I began with food restriction, as most do, and the vicious cycle began. I didn’t know it was an eating disorder. I wanted a lot out of life, I had a lot of expectations of myself, and I was convinced being thin was a part of that. I remember specific comments that influenced me. I convinced my mother to take me to a weight loss specialist, though I was at my natural body weight. 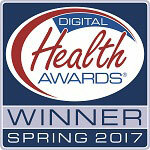 Vicki: My memories of dieting and food restriction in my home go back as far as I can remember. It was just the culture of our home. I can remember my grandmother, in her 80’s, a wisp of a woman, telling me with pride how little she weighed. And my mother didn’t know any other way. By the time I was in middle school I had full blown bulimia. What about your recovery? How did that come about? Vicki: For me, recovery came after I reached a point of total exhaustion. I was so tired of feeling consumed, that I got some help. And I was lucky enough to find a really good therapist when I did reach out. I also moved in with a friend who had a really positive, healthy relationship with food. It was the first time in my life that I lived with someone who was not eating disordered. I can still remember explaining to her, after we arrived back at our apartment late one night without having had dinner, that I couldn’t eat because it was night time. She said, “Really? I just eat whenever I’m hungry. ” I thought she was crazy. Wendy: I visited Vicki for dinner one night after she had started on this new path. She made linguine and creme Brule. I was, like, what are you thinking?! I literally thought she was nuts… I was influenced by several authors, especially Geneen Roth. I started to see the light. I made the decision that I was unwilling to restrict, and I was willing to accept my body, even if my weight or size increased. I could not stand the idea of continuing to live in the prison of food and body preoccupation, I was exhausted. I slowly started a process of learning mindful eating. A deep realization for me was that I needed to take myself seriously on both an emotional and physical level. 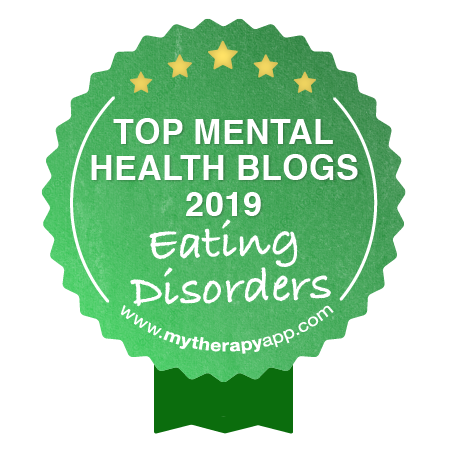 I started to grasp that my eating disorder had something to do with not treating myself with respect and honor, and there were reasons for this. I now always try to help my patients see how worthwhile they are, and I convey to them the feeling that I authentically respect them. I think that learning to take yourself seriously is key. Vicki was a big help to me. She used to remind me to stay gentle, something that our patients always need reminding about too. You must have been kind of a rare breed, with your new way of thinking. Wendy: It definitely is an internal shift when you learn to eat based on your own inner experience vs rules. This is not something we’re encouraged to do in our society. Eating disorders do not occur in a vacuum. There are societal expectations, genetics, familial risk factors, and situations that hit us when we’re most developmentally and psychologically vulnerable. It can be draining to live in a culture where everyone is talking about weight loss. In my personal life, I benefit from having family and friends who share many of my values, and that is helpful. 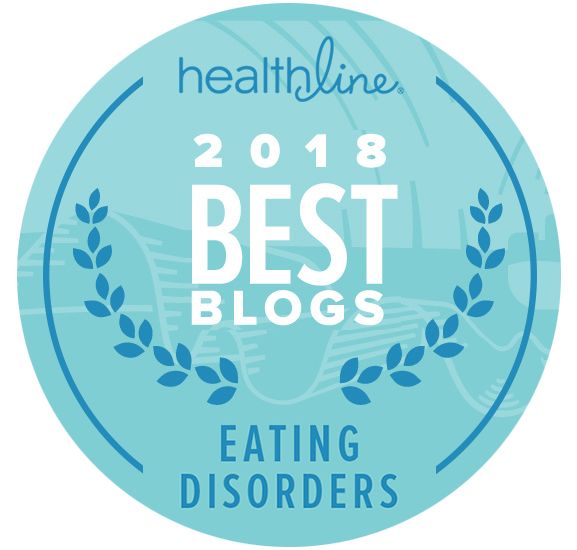 Vicki: I think that recovery from an eating disorder is really a journey, in the sense that at different times in my life, I have had to return to the lessons that helped me get well in the first place. What makes Oliver-Pyatt Centers special to you? Vicki: We’ve said since the beginning that our top priority is the client. Our guiding principle is we will do anything to help them get better. Also, it was really important to us to have a bilingual team. When I was living and working in Argentina, I surprised at the widespread incidence of eating disorders. This prompted us to make a bilingual treatment team a key part of the Miami Center. It is in a beautiful residential neighborhood in South Miami, a very tranquil place. But the setting allows clients to reintegrate into real life at an appropriate stage in their recovery process, of course-through daily, guided outings into the community. Wendy: We have made the decision that our treatment philosophy is to do whatever it takes to help an individual recover from an eating disorder. I want to provide an environment where patients immediately recognize that we take them seriously on every level. The environment, the quality, training, and cohesion of our staff, and the availability of clinicians and care providers on an individual level for each individual patient, is very important to a person with an eating disorder. In order to make good decisions in patient care, we must really authentically connect to and know each individual. This takes time and energy with each individual patient. We are willing to make this commitment to each person. We want to be a place where patients feel emotionally safe to share their true selves. We wanted a safe place that would allow our clients to reconnect with their true selves, yet also provide a kind of gateway back into regular life. To fully recover, at some point, you have to let the world back in. But it is important that patients have the chance to let the world in while they are still in treatment, so that we can comprehend their life experience, how it impacts them, and how they can approach and manage complicated situations that are a part of their everyday life. We believe that full recovery from eating disorders is possible when a person is provided with effective treatment. What would you say to someone suffering from an eating disorder? Wendy: You deserve the opportunity to recover. Your life and joy are being sapped. You didn’t choose to be sick. You don’t deserve an eating disorder. Recovery takes time, and energy. It is a healing process that sometimes feels mysterious. There will be bumps and setbacks. It is critical that you receive care from professionals that understand the biological and psychological components, with whom you can authentically connect. Vicki: There’s another way. It’s not an easy way, it’s not the way that everything in our culture will direct you towards, but it’s a way. I look at my three daughters and the bombardment of messages that they receive on a daily basis about how they need to look and “be”, and it’s a miracle that anyone survives adolescence without an eating disorder. How has your sense of self changed over the years? Wendy: I’m doing what I really love, not what I “should. ” I’m passionate about women accepting themselves at all sizes and cultivating a strong voice to express themselves. In my adolescence and young adulthood, I felt intimidated about really speaking up and sharing my views and opinions. I now feel it is extremely important to state your opinions and feelings to others, allowing them to know your state, while accepting the outcomes. Sometimes others don’t agree with us, and conflict can occur. That is OK too. Conflict allows us to know each other more fully. This can bring for greater closeness when we are willing to work things out on a deeper level. Sometimes, conflict can mean that we need to make decisions to change our expectations of others, or to move our energy in another direction as well. Learning how to train and supervise an entire treatment staff, work with complicated family situations, engage with resistant or reluctant patients, all have been opportunities for me to evolve and to experience such incredible meaning in my life. I am sometimes surprised with my own growth. At the same time, it means so much to me when I see a woman learn to take herself seriously and hear about her life in a phone call or email after she goes home. When your patient goes from a state of joylessness, to a place where they feel their life is meaningful, and they respect themselves, it really is an indescribable experience for me. Vicki: I think I spent years of my life completely defined by the scale. If someone asked me how I was, I might as well have answered with how much I weighed. My sense of well-being was so completely tied to that number. There was a time when I traveled with my scale in my suitcase, because God forbid that I should be forced to weigh myself on a different “less accurate” scale. Vicki: I have complete trust in Wendy’s ability to care for these patients, to connect with them, and to do whatever it takes to help them get well. I know that there will be no shortcuts. It makes me proud to be a part of what we’re doing. That was part of our earliest conversations: that these programs would be excellent in every way. Wendy: Vicki is a passionate person who loves to take on a challenging situation. She is a constantly growing person. I love how she is not afraid of facing problems or complicated situations. Having her as an integral part of my life and now of Oliver-Pyatt Centers, brings me joy, and gives me a feeling of being safe. I know that I can count on her through any potentially tough situation. At the same time, we have so much fun together too! Vicki is an extremely accepting and non-judgmental person. I think that going through an eating disorder does lead to this humility. She’s driven but not at all impressed by titles or outward trappings of success. What she cares about is what is inside of each person. Vicki: A generation of girls who don’t define themselves by our current cultural standards. More personally, to raise three girls whose measure of worth and identity is their own. Wendy: There’s a quotation on our website by Ralph Waldo Emerson that talks about adding a texture and depth to your life through what he calls “an advanced experience”. Success is a by-product of living life according to your values, interests, and convictions. I think that being in a place of gratitude brings with it acceptance. You can apply this to yourself, your body, your relationships, and even to life itself. I think that gratitude brings with it perspective. Sometimes, if things feel scary in life or I am unsure of how things will work out, I have to go to a place of gratitude. In our society, sometimes we come short on gratitude and perspective. Success has something also to do with having a sense of vitality and meaning in your life. To have this, one must take his or herself seriously.